The new year is right around the corner, and you know what that means — New Year’s Resolutions! For many of you, one of your biggest goals for 2018 will to hit up the gym more often and prioritize your fitness. This universal resolution is an excellent one — making your overall health a priority will benefit you in ways you never thought possible. That being said, this also seems to be the one resolution that people can easily fall off the wagon. 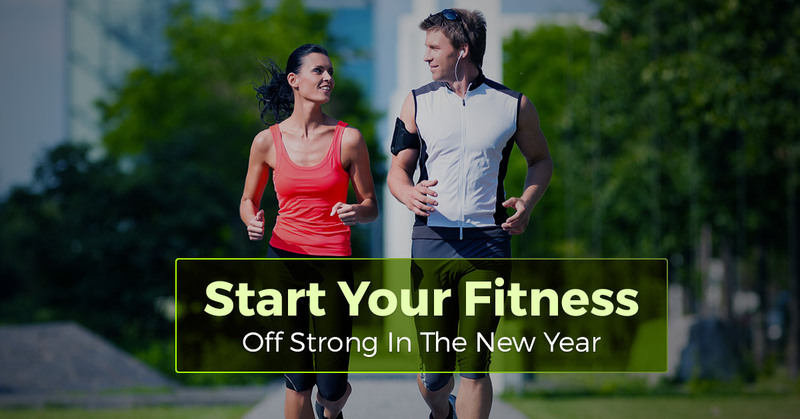 You start the year off strong by going to the gym or taking personal fitness classes regularly. But after a month or two, life gets in the way and your gym membership is the first thing to move to the backburner. While it’s understandable, how can you be sure you stay true to your resolutions? That is what we’re aiming to answer in this blog post. Continue reading to learn how you can make sure your fitness goals are kept a priority all through 2018. Keeping a consistent fitness regime is hard as it is, but when you start one right after the holiday season, it can be that much more of a challenge. That’s not to say it isn’t worth, because it definitely is, but the first step to making your fitness an unbreakable habit is realizing that it is going to take willpower and discipline. 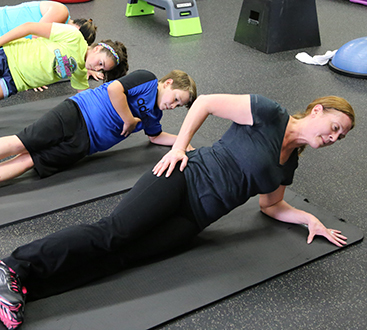 If you aren’t motivated to stay consistent with your exercise and fitness plan, you won’t stay consistent with it. No one is going to make you go to the gym or eat healthy — it all stems from you. While you can find accountability through friends, family members, and each personal trainers, you are the only one who can get yourself into the gym. Finding ways to motivate yourself is the key to staying true to your resolution. There are many different ways to motivate yourself, so find some techniques that are effective for yourself. Perhaps by switching up your workout playlist weekly, or maybe it’s investing in a new pair of gym sneakers that you’ve been eyeing for a while. Trying different fitness classes or challenging yourself to work on a new machine at the gym each week are other good techniques to changing up your routine and keeping yourself excited at the gym. However you are best motivated, make sure to make it a priority. When first making the resolution to work out and get fit, what was your reasoning for it? Are you trying to lose weight? Increase your energy levels? Reduce stress and/or get better sleep? There are many reasons as to why people start a fitness regime. Before you head to the gym or a group class for the first time, make sure you know exactly what you end goal is. If you don’t, then it’ll be hard to stay consistent and motivated. That said, if you are mainly result-focused during your time exercising, you may find that you hit a wall and lose all motivation fairly quickly. Rather, stay focused on being consistent with your exercise plan. The more consistent you are, the more successful you will be. In the end, you will see results, but it’s important to cultivate a mindset of consistency rather than being results-based. Why? Because if you only focus on results, but don’t see the results you want right away, you could easily get discouraged. When you focus on stay true to your plan, you’ll feel more disciplined and motivated whether or not you see the results you want when you want. The best way to get yourself into the gym is to get some fitness clothing. Have you been eyeing a pair of running shoes? A new pair of yoga pants? Perhaps even a new water bottle? Whatever it is, treat yourself to it. You’ll be excited to use and wear your new purchase at the gym, making the process of actually getting there that much more easy. Maybe you’re wanting to take more yoga classes. Then find yourself a yoga mat that you know you’ll love grabbing each time you head to the gym. Perhaps you’re wanting to train for a marathon. Then get yourself a pair of brand new running shoes. There’s joy in purchasing yourself an item you’re proud of. If you’re wanting to stick with your exercise goals in the new year, take the time to invest in quality equipment and apparel. Do you live in Naperville or any surrounding areas, and are looking for a fitness center to work out in? Optimal Health Medical Fitness is just that. 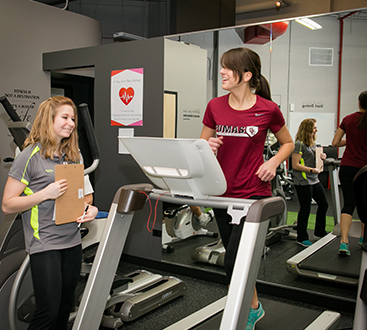 We believe in cultivating a smarter approach to overall health, fitness, and wellness. Come see us in the New Year!